Brief Description: Vanguard MacNeal is a comprehensive medical center that provides health care to the community through services for heart and vascular problems, different cancer diagnoses, imaging services, occupational and orthopedic services, as well as rehabilitation programs and women’s services. Specialty services include physical and speech therapy, home health care, and community health care education. MacNeal Hospital has the largest behavioral health services program in the Chicago area. Brief Description: Midtown Athletic Club of Oak Park offers a wide variety of group exercise classes, personal training, mind and body classes, nutritional guidance through Dieticians, as well as swimming, basketball and tennis amenities. Midtown Athletic Club also has a spa, cafe, pro-shop, and services for childcare while parents are attending group exercise or personal training sessions. Brief Description: Wes Health System offers health care services through the Family Care Management (FCM) program for persons in Illinois that provides those who are income-eligible with a pregnant woman, infants or young children to obtain health care services during pregnancy and for developing children. 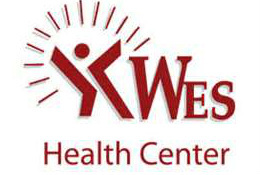 The Wes Health System offers free Pregnancy Testing, All Kids (Medicaid) Application assistance, and clinic services for physicals, flu shots, infection/allergy testing, and family planning. Brief Description: Loyola University Medical Center is a health system that delivers expert care with respect and compassion. Loyola Health Systems has multiple different locations within the Chicago land area. The facility located in North Riverside offers services for cardiology, pediatrics, obstetrics and gynecology, and general family medicine. They also offer diagnostic imaging services such as mammography, EKG, Xray and waived testing.